Malcolm, or Mal as he's known in the story, has fallen on some difficult times. After being severely injured, he is trying to figure out what his new normal is going to look like. When he is somewhat tricked into taking over the LGBTQ group at the school where he teaches, he never expected to find healing within that group too. Brian Kenway is known as the town player. He never really has a partner for long. When he has to face his actions and what they might mean for his future, he has to face some strong truths that are hard. 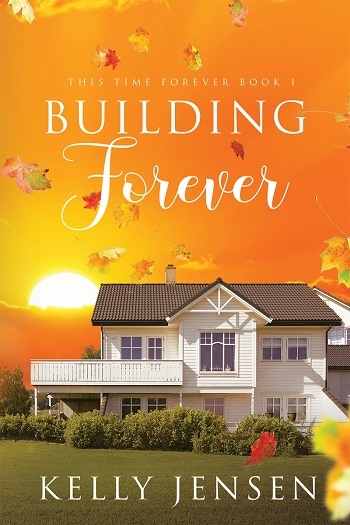 Brian and Mal want to make their relationship work, but with a nephew who needs someone to fight for him, a person overcoming great physical injury, plus all of the baggage that Brian has from his home life, the reader has to wonder if they will ever make it. This book took me a while to get into. I knew that it was part of the series. so I didn't want to quit reading, but I contemplated that a lot. For me, this story was just kind of blah at the beginning. Towards the middle, when you get into the more nitty gritty of each character's history, it became more of a developed story. Overall, while it was an enjoyable read, I didn't like it as much as the previous books. I really, really didn’t want to like Brian. Brian was a complete arse as Simon’s ex in the first book and there wasn’t much of any redemption in the second story. I only gave Brian’s book a chance because I really enjoyed the first two books – and I’m really glad I did. Brian doesn’t change overnight. He’s slick enough to be off putting when he first tries to pick up Malcolm and his initial reaction to his nephew is pretty cold. But Brian’s backstory was enough to thaw my reaction to him and with Malcolm and Josh’s influence, he slowly becomes more human and more loveable page by page. Malcolm is a heartbreakingly wonderful character. He’s an inspirational, devoted teacher but his personal life is painfully lonely. A horrible accident stole his ability to run and hike – and it also stole his confidence and independence. At the start, I really didn’t feel like Brian deserved Malcolm but these two surprised me and they work well together by the end of the story. Brian and Malcolm’s relationship is a bumbling, awkward thing from the start. These two don’t communicate and they’re both incredibly guarded. Theirs is a very slow burn romance that tried my patience at times. Beyond the romance, I didn’t enjoy the story in this book as much as I did the first two. I enjoyed Brian’s slow build relationship with Josh, but I felt like the teens in Malcolm’s LGBT club took up too much space in an adult romance. The regeneration storyline didn’t come to a very satisfying conclusion and extra characters seemed to appear and disappear without any real continuity. I liked this story, but I do prefer the first two books in the series. These books should stand alone but readers will understand more about Brian if they read the series in order. 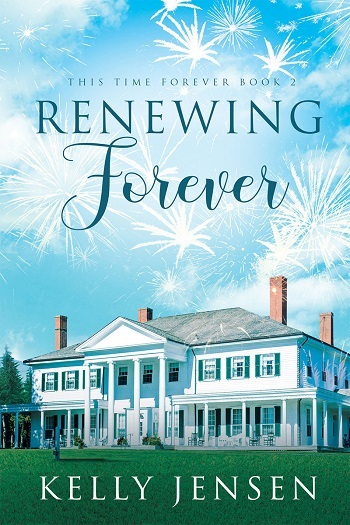 This is the third book in the series, and there are undoubtedly links across the books, but this is a rich story in its own right, so you could certainly pick this up and enjoy it as a standalone. Mal has survived a catastrophic accident and is slowly recovering. He little expects to catch the eye of the suave Brian, who has a reputation as a player and a sharp businessman. But a combination of events and encounters bring these two men together. I really enjoyed the way that the issues raised are dealt with in this book. The juxtaposition of Mal's twin's behaviour compared to the actions of Brian's. The need to support each other and the obligation to help others gives us a great insight into the real men under the pain and the mask. As well as the leads, we get to understand the importance of Donny and Vanessa in their lives. Kelly Jensen does a really good job of making us care about the people in this community. For reviews & more info, check out our Building Forever post. 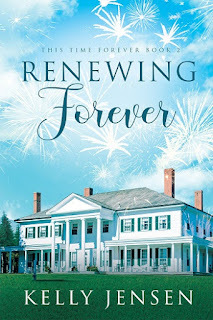 For reviews & more info, check out our Renewing Forever post. 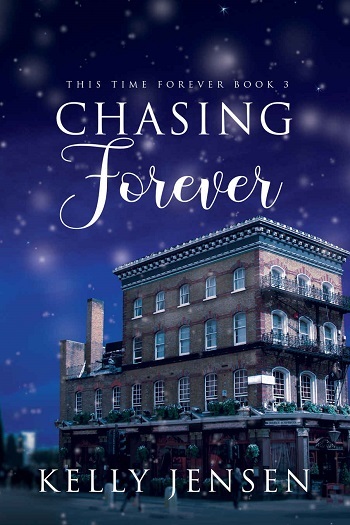 Reviewers on the Wicked Reads Review Team were provided a free copy of Chasing Forever (This Time Forever #3) by Kelly Jensen to read and review.